I’ve behaved badly. It’s true, and I’m admitting it. Very publicly. 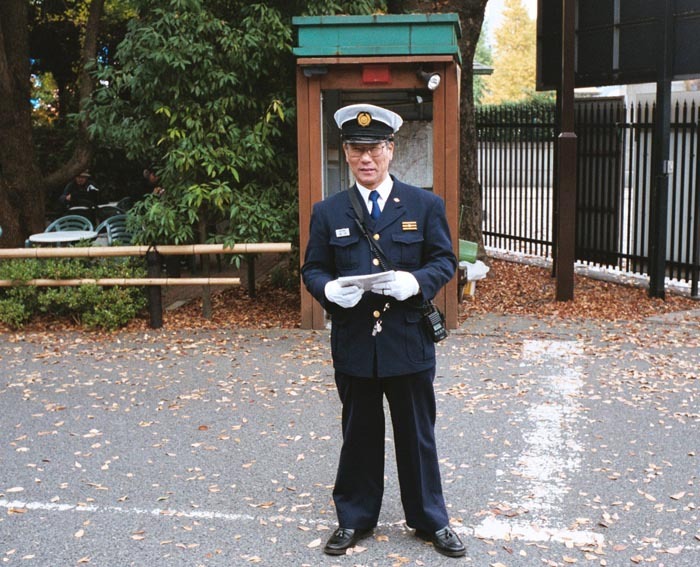 There was the time a police officer in Japan told me to move, and I stood my ground, passive-aggressively, staring him down, daring him to remove me. There was the time at my son’s school here in Mexico, when I refused to go into a private office, insisting on talking (loudly) in the public lobby, because I was so very upset at the runaround the staff was giving me, and tired of being (privately) shut down. Both of these were very culturally inappropriate. Heck, they were inappropriate by the standards of my birth culture! I behaved badly. I lost face. I upset others. I looked like a fool. I was ineffective. Why? You could say these experiences reflect a lack of emotional maturity; despite my age I still have loads of growing to do. The case I’d like to make in this post, however, is that the stress of culture shock causes many people to do things we would never do in our home cultures, in a milieu with which we are intimately familiar and generally comfortable. There are good things about this sort of “acting out.” Such meltdowns enable us to define and preserve our sense of self, identify our core values, realize how stressed we really are, so we can take care of ourselves and try to restore our equilibrium. Culture shock is also an indicator that we are indeed growing, stretching, challenging ourselves to get out of our comfort zone, and trying to adapt to new and different ways of being in the world. Thus, it is a highly worthwhile venture! In the free download that accompanies this post, you will see a page titled, “Level of Acculturation.” This is one of those “Oldies but Goodies” that we occasionally release. Originally written back in 1989, the arrow on the page illustrates two polar extremes: the expat who makes great efforts not to acculturate, living instead much as s/he would at home; and on the other end, the expat who “goes native,” adapting to the local culture in every possible way. The key point of this piece of training material was to advise expats to try to strike a balance, to manage the polarity between the two extremes. It is important to maintain home-country connections for sanity and respite, and to build host-country connections in order to learn, grow, adapt, and fully experience one’s new home. Please do not misunderstand me; I am most definitely not advocating behaving badly! I am, however, saying that such bad behavior happens all too frequently. The nasty truth is that inappropriate behavior, due at least in part to culture shock, is a fact of expat life that is all too often brushed under the rug. We refuse to talk about it. We may pretend it doesn’t happen, that it only happens to others, or we try to forget it did happen. We blame it on lack of competence. Of course we lack competence—we are learning and adapting to a culture that is new to us. And, it takes super-human levels of self esteem and emotional composure to navigate cultural adaptation without ever going over the edge, at least a bit. Culture shock is a continual, gnawing sense that things are not quite right. It is more appropriately called “cultural fatigue” or “identity crisis”: we become confused about how to accomplish our goals, and thus we start to feel powerless, to question our abilities, and lose self-esteem. 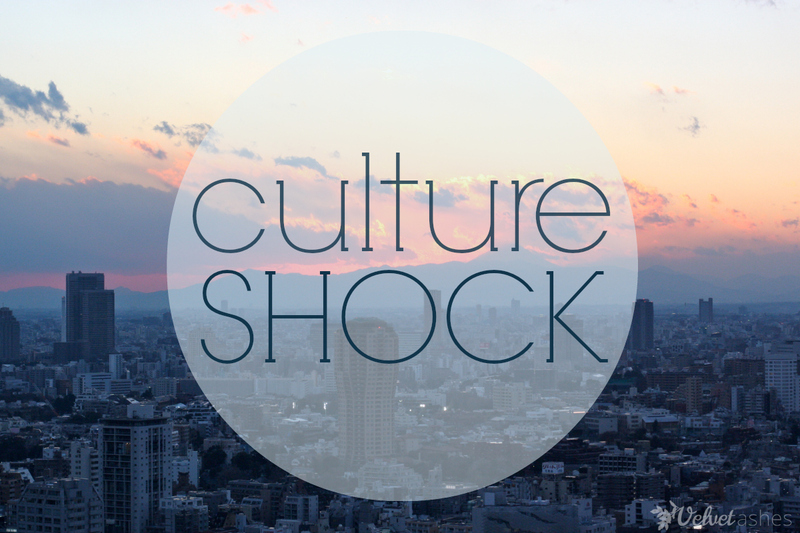 Culture shock does not result from a specific event or series of events. It does not strike suddenly or have a single principal cause. It comes, instead, from the experience of encountering ways of doing, organizing, perceiving, or valuing things that are different from ours. On some levels, this threatens our basic, unconscious belief that our encultured customs, assumptions, values, and behaviors are “right.” Culture shock is cumulative, building up slowly from a series of small events that may be difficult to identify or recognize. General fatigue and exhaustion, susceptibility to illness, moodiness, headaches or upset stomach, weight gain or loss, irritability, restlessness, withdrawal, hostility—all of these can be signs of culture shock. A more extensive list of such symptoms is in the free download, which you are most welcome to use as our gift to you. Our only request is that you, of course, maintain the copyright information and url on the materials. Being cut off from the cultural cues and known patterns with which your are familiar, especially the subtle, indirect ways you normally have of expressing feelings. All the nuance and shades of meaning that you understand instinctively and use to make your life comprehensible are suddenly taken from you. Living and/or working over an extended period of time in a situation that is ambiguous. Having your own values (which you had heretofore considered as absolutes) brought into question—which yanks your moral rug out from under you. Being continually put into positions in which you are expected to function with maximum skill and speed, but where the cultural “rules” have not been adequately explained. Culture shock has often been introduced over the decades by using a curved line representing experience over time, either a “U-Curve” or a “W-Curve”—a sample graphic entitled “Stages of Cultural Adjustment” is included in the download accompanying this post. The idea of such curves is that our emotions go up and down as we adapt to a new home. First, we adjust superficially: learning our way around town, learning how to shop, cook, socialize, etc. Then, at some point, we are confronted with values differences that challenge us on very deep levels: a new and cherished friend seems to stab us in the back, or a work project we were confident would succeed crashes and burns, and we may have no clue why. At this point many expats return home (often at one year to eighteen months into the sojourn, according to many trainers), while others navigate their way through the challenges of shock to attain some level of ongoing effectiveness and adjustment to their new home. The U-Curve and W-Curve can be helpful learning tools, but research repeatedly shows they do not reflect reality. Actual expat experience is not nearly so neat, nor tidy, nor linear. Kate Berardo, co-author of Cultural Detective Self Discovery and Cultural Detective Bridging Cultures, did a review of the literature on this topic, and offers a process approach for managing culture shock, which Cultural Detective first published back in 2010. Be sure to check it out if you haven’t read it, and know that these traditional models have been debunked; continuing to use them should be an informed choice. Pre-departure expectations: Are they realistic, or overly positive or negative? Degree of change in environment, customs, language and values. Degree of personal commitment to the move. Amount of knowledge about the host culture. Flexibility: How adaptable is the individual by nature or experience? Level of emotional support in new environment. Availability of mental health services and support groups. Availability of tension relievers: How accessible are recreational facilities? Is it possible to pursue hobbies or other interests? Acceptance of different values and beliefs. Ability to tolerate ambiguity: Is the individual able to tolerate situations that are unpredictable, puzzling or frustrating? Ability to be a learner: Is the individual curious about the new environment and open to learning about it? As interculturalists, and those who work with international sojourners, I think it’s time we face up to the nasty truth: culture shock is real—it happens. And, despite the toll it takes on our relationships and our dignity, it presents an opportunity for growth and learning that we should take advantage of. In looking through the incidents in our Cultural Detective series, most of them represent people managing their work in the best way they know how. All parties in the story have good intentions, but due to cultural differences they miscommunicate or work at odds to one another. In a small minority of our critical incidents, however, we see someone who is suffering from culture shock. They do or say something that, most probably, they would never do under more comfortable or familiar circumstances. They are probably tired, due to linguistic and cultural fatigue. They have suffered repeated blows to their self confidence: the educated adult that they are only knows enough to act with a child’s effectiveness in the new culture. How Do We Manage Culture Shock? And How Do We Deal With Those Going Through It? Our goal is not to avoid difference and ambiguity, but, rather, to learn to bridge differences and harness them as assets. And, we want to help our colleagues, family members, employees and students while they are experiencing culture shock. How can we best do that? The free download accompanying this post provides you ten “Tips for Alleviating Culture Shock”, including such things as getting sufficient rest, reading in your native language, and cultivating a support network. Subscribing to and regularly using Cultural Detective Online will help you process your emotions and make sense of your experiences, using them as learning and development opportunities. Another tool included in the download is a set of three worksheets on identity (“The Impact of Cross-Cultural Experience on Identity”). The first urges you to reflect on the identity you hold in various spheres of life and ways of being in your home culture(s). For example, how do you define your competence, what is your communication style, how does your occupation affect your identity, and how do you define and maintain your health? The second worksheet then asks you to reflect on how those same things might change when you relocate. The third sheet is useful for reflection before you finish your sojourn and return home. These worksheets are another tool for thinking about life transitions, differing contexts, workplaces and friendships, and how we and those around us change during our sojourns abroad. Another key person in my early professional formation was Dr. Dean Barnlund. He taught me so much and, more importantly perhaps, inspired me. Dean focused on intercultural interaction and included art and photography in his approach, which resonated with me on so many levels. One very small piece of his work is a set of values continua that he assembled together with Kluckhohn and Morgan. I honestly can not remember if these were published in a book or shared with me in person, and my internet searches have not pointed me to their origin, either. I do know that I’ve always had their names on the bottom as originators of the tool, so the work comes from them. I see them as the precursors to the many dimensions of culture models in use in the intercultural field today. I used these continua for years to help teach people about basic cultural differences, to help expats reflect on what might be welcome changes for them, and what they might find challenging. I share it with you in the attached download (“Cultural Values Checklist”). The final piece of material in the free download is “Culture as an Onion Skin.” I no longer use this metaphor, preferring instead the Personal Values Lens from the Cultural Detective Self Discovery. My chief concern with the onion-skin metaphor is that, when you peel back the many layers of an onion, nothing is left inside! If that lack of fit doesn’t bother you so much, the usefulness of the onion-skin worksheet is to help us think about our core values. What are the things that in life that are really important to me? I can note those that are near and dear, guarded closely, never to be negotiated, in the central portion of the onion. Then, I have other values that I still hold tightly, that are very important to me, but that are more amenable to situational variance. Those I can note on the outer layers of the onion. Come on, be truthful now. Share with us one of your “I behaved badly” stories, and a bit about the journey you were on when it happened! Help us take the nasty truth out of the closet and into the light of day, so we can learn from it. Did the experience make you stronger? A better Cultural Detective? How did you learn to navigate your way through it? This was reposted in the Velvet Ashes’ Culture Shock link-up. If the topic interests you, be sure to visit some of the other great posts, from other blogs, that are linked-up there. This entry was posted in Cultural DeFectives - Missteps, Downloads/free gift and tagged Cross-cultural communication, cross-cultural skills, Cultural Defectives, Cultural Detective, diversity and inclusion, Education and Training, global business effectiveness, global diversity, global nomad, Intercultural Communication, intercultural competence, multicultural society by Dianne Hofner Saphiere. Bookmark the permalink. Terrific reminders. Thank you for this thoughtful blog and links to the mini-refresher course– a very useful reading as I plan a training for later this week. Merci! So happy if you can put some of these oldie-but-goodie materials to updated and refreshed use, Pixie! Thank you for helping to build intercultural competence and cross-cultural understanding and respect in this world of ours! Reblogged this on Landing's Blog. Oh, my gosh, I’ve been ready to throw rocks at people sometimes! Talk about meltdowns! The good thing about it is you learn to have empathy for other people when they melt down. So much can be done with a simple “yeah, people go through that, you’ll come out the other side” just to let them know that they’re not going crazy. Thank you for your honesty, Nancy! If more of us shared just how ugly we can be, it would so help others when it hits them, I believe. Warm wishes your way! I’ve always considered this topic crucial in discussions with individuals relocation abroad. Culture Shock can easily occur when moving within ones own country, i.e. from the suburbs of Detroit, Michigan to Erie, Pennsylvania . . . a 4 hour car ride! So so true, Brenda. Some of the most difficult adjustments can be those involving minimal distances! Hope you are well and thanks for joining us here! Another great piece from CD. Here is my share: I was disoriented in one of the places of Paris that has multiple roads feeding into it and so when the light turned red I rushed up to the traffic officer and asked (in French, horrible accent I am sure, but correct French), “Excuse me,where is the Hotel …?” Well, he stared straight ahead, closed his eyes while turning his head towards me and then said, “Bonjour,” with a glare that could kill a grizzly. Having learned this lesson many times in my trainings on France, I backpedaled, corrected my phrase and included the civilized, courteous and customary, “Bonjour,” and then asked my question again. He returned his glare to the traffic (which by the way was now swirling around us), and pointed towards my hotel without giving me another glance. I was mortified, but also delighted to have had this lesson solidified in my repertoire of behaviors for life (one hopes)! Oh that soooo resonates with me, too. In Mexico, you always greet the person and even small talk before the task at hand, so you risk big offense. Great to hear from you, Katherine! As always I admire you, Dianne, and your writings! I think it’s a matter of recognizing we all are NOT Superhumans, just normal folk reacting sometimes not niecely in given circumstances. Many interculturalists lecturing on “what it is” need to learn especially from Edward T. Hall as well as from Robert Kohls, Dean Barnlund or LaRay Barna with their down to earth personas and expertise. And John C. Condon is our very present example of showing no nonsense that “I’m the know it all,” that unfortunately is seen in many older and younger generations carrying themselves as big “experts!” The more you know in this field and the more experiences one has, the least presumptuous of perfections one should be. The most important lessons I’ve gotten after 35 years in the Intercultural field is “humility” and “empathy” and both don’t translate into perfection for me, just the opposite. I’m just a human being that has lectured and taught for hundreds and hundreds of hours, and I am not superhuman! Your examples of losing it on certain occasions show greatness to me because it’s learning from it! Thanks ror reminding me I’m lucky I have had similar experiences as well. Comadrita mia, one of the wisest, most talented, and most humble teachers I know, I am so so happy when you read and comment on a post here. Thank you for loving me despite (or because of) my errors!